The best managers in the world don't just copy other people's techniques. They forge their own unique styles-but they do have some very important things in common. Most managers lead by conventional methods, believing what works in the past should work now. The greatest managers in the world would disagree. 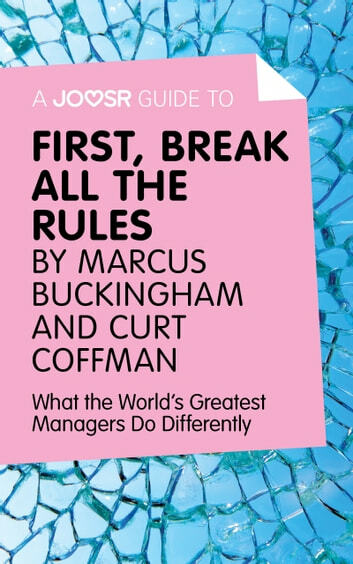 First, Break All The Rules is the result of 25 years of interviews with the best managers in the world, showing the framework that every great manager has in common. 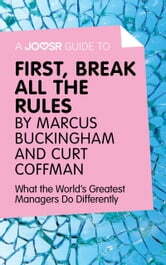 Truly exceptional managers forge their own style-and this book will show you how. If you are unsure as to whether or not you want to purchase and read the book this simple breakdown is a must. Now I'm off to buy the book! Ontgoochelende samenvatting. Biedt weinig inzicht in de inhoud van het origineel dat mij sterk aangeraden is. Lees onmiddelijk het echte werk.